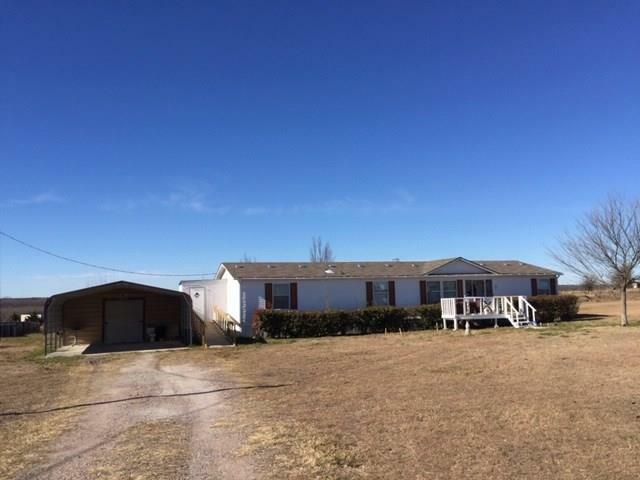 All Dodd City homes currently listed for sale in Dodd City as of 04/21/2019 are shown below. You can change the search criteria at any time by pressing the 'Change Search' button below. If you have any questions or you would like more information about any Dodd City homes for sale or other Dodd City real estate, please contact us and one of our knowledgeable Dodd City REALTORS® would be pleased to assist you. "Are you looking for some country living? Beautiful 2 story country home on over 16 acres, with large stocked 5 acre fish pond right out your front door. Minutes away from Bonham, within sight of the Legacy Ridge Golf Course and soon to be Bois d'Arc 16,641 acre Lake. Updated flooring. Gourmet kitchen with granite counter top and stainless steel appliances including wine chiller. Two story guest house, man cave or in-law suite with kitchen, washer and dryer connections, bedroom and 2 bathrooms. I"
"Are you ready for luxurious country living? Enter through the impressive metal gate & follow the long treeline driveway to this gorgeous home with designer touches throughout. Plenty of space to entertain w two living areas-one accented by a floor to ceiling fireplace, exposed beams, & rustic chandeliers. Stunning farmhouse kitchen boasts SS appliances, marble counters, tons of cabinet space, & a convenient breakfast bar. The large covered patio is perfect for family fun and entertaining overloo"
"HUGE PRICE REDUCTION..... VERY MOTIVATED SELLERS!! 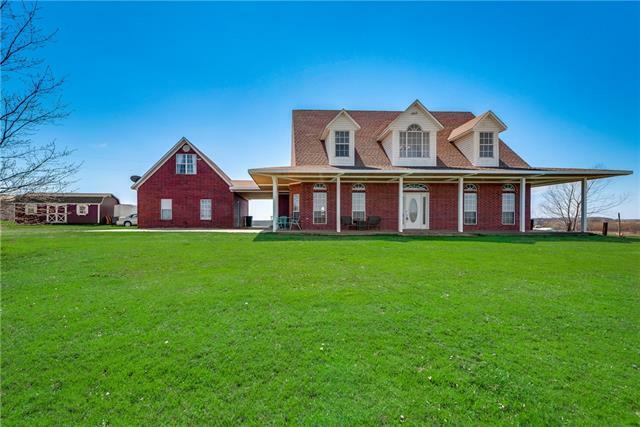 Come claim your own little slice of the country in Lannius, TX. 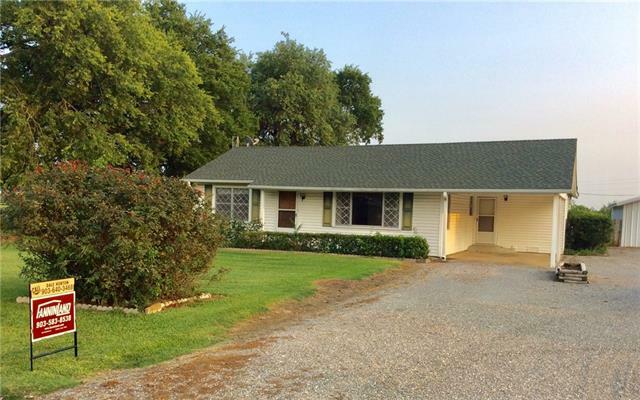 Quiet and serene is what you will find in this 3 bedroom 2 bath home sitting on 1.198 acres. The 1,200 sf garage, shop, barn is where you can park your truck, have a workbench, store the saddles and have the horses or show animals under roof. Included is an automatic livestock waterer. With a few updates you can create your own dream farmhouse look. St Augustine grass in the f"
"FRESH PAINT****PRICE REDUCED****BRAND NEW HVAC SYSTEM INSTALLED****DESIRABLE DODD CITY ISD*WALKING DISTANCE FROM SCHOOL*BRICK 3 BEDROOM 2 BATH HOME THAT HAS BEEN KEPT UP NICELY WITH OPEN, SPLIT FLOORPLAN*UPDATED KITCHEN, ALL BEDROOMS ARE VERY LARGE, MASTER SUITE HAS A NICE MASTER BATH, ROOF, SIDING, & GUTTERS ARE ALL NEWER IN THE LAST 2 YEARS* HAS 20X24 INSULATED SHOP WITH POWER *12X12 INSULATED SHOP WITH POWER*MUST HAVE 2 HOUR NOTICE PRIOR TO SHOWING*SURVEY AVAILABLE"
"This property can be your piece of Texas country! This acreage is on high ground with beautiful views of the setting sun from the back yard. 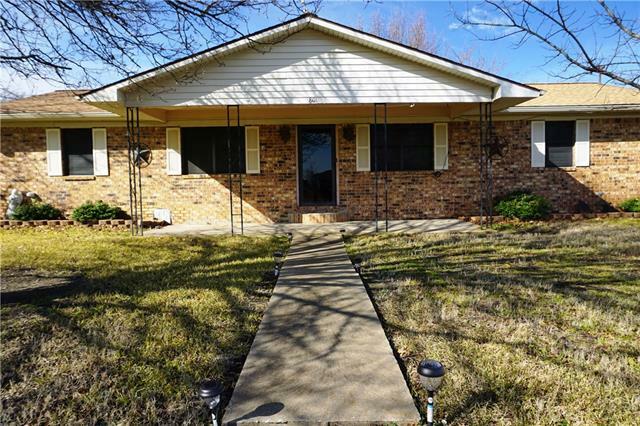 This 1864 sqft, three bedroom, two bath home was updated in 2012. Enter from the front porch or at the back door mud room. Enjoy the eat-in kitchen or separate dining area. In the cold days of Winter you can snuggle close to the living room fireplace. A two car carport keeps you dry on rainy days and an attached storage area is a handy place for lawn & "